We Were So Close to Sweet Victory.. What Happened? The Superbowl is a nonofficial holiday Americans are hesitant to watch for many reasons. The game, the commercials, or the halftime show performance. Many Americans simply watch the Superbowl simply to just watch it because it such a big sporting event. This year’s Superbowl game between the New England Patriots and the Los Angeles Rams was anything but eventful to many. For this reason, many people were anxious to see the halftime show performances this year. The halftime show performances were revealed days, even weeks, prior to the big game. The performers consisted of Maroon 5, Travis Scott, and Big Boi. Although this year many people watching the NFL Superbowl 53 primarily for the half time show were anticipating something special. After the unfortunate death of Stephen Hillenburg, primarily known for creating the beloved TV Series SpongeBob SquarePants, fans stormed to the internet with love and affection for Mr. Hillenburg when the news came around. It wasn’t until someone created a petition on change.org to have the song “Sweet Victory,” the song created by the SpongeBob cast for Episode 15 of Season 2 “Band Geeks,” to be played at the Super Bowl in memory of Stephen Hillenburg. On December 12th, 2018, the official Mercedes Benz Stadium Twitter page tweeted out an image from “Band Geeks” episode in recognition of the episode. The Superbowl was scheduled to be hosted in Atlanta, Georgia at the newly developed Mercedes Benz Stadium. Come day of the Superbowl, February 3rd, 2019, the halftime show was presented with the performers as scheduled. Opening with Maroon 5, a small performance by Travis Scott who was opened with a remastered 3-5 second clip of “Sweet Victory” and nothing more and ending with a performance by Big Boi. Fans were outraged by this disappointment of a performance as the NFL had simply teased everyone with a simple clip of “Sweet Victory.” Many speculated that it was only shown for a short period of time for legal reasons but that is still yet to be determined. The Mercedes Benz Stadium tweeted out a video on their official Twitter page of Sweet Victory being played at the stadium. Although, it was a day after the Superbowl and it simply didn’t cut it for anyone that was hoping to see the performance. 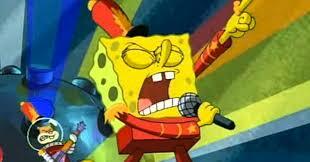 In other news, Sweet Victory was in fact played at a Dallas Stars hockey game in Dallas, Texas on the same day. So this, in some way, accounts for the performance we could have gotten at the Superbowl 53 Halftime Show. In response to the events that transpired during the halftime show, another petition was created on change.org to “Disband the NFL for not playing Sweet Victory at Superbowl 53.” Currently the petition has a little above 75 thousand participants.